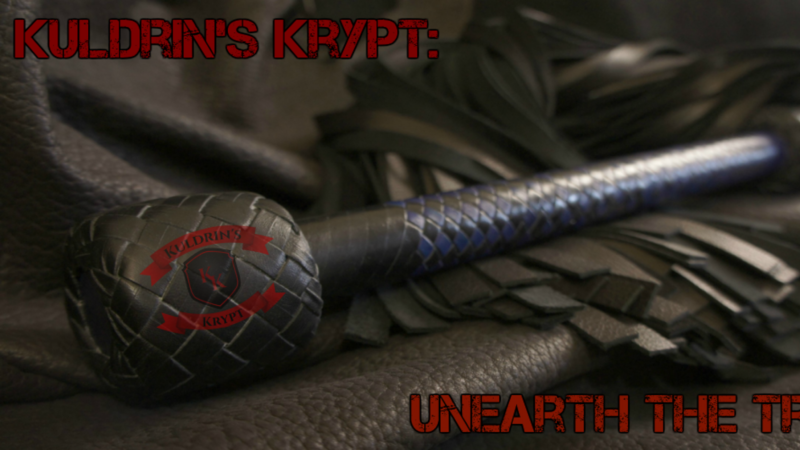 On this episode of the Krypt we are hitting the rules to love by, I have to share with you my new collar maker https://www.daycollars.com, and then we are diving into an interesting topic presented to me by a play partner, a friend, a listener, and a show producer, SortOutTheKinks, on Reserved Dominants Vs. Assertive submissives. Day Collars is a place for personalized handmade collars, leashes, cuffs and belts. They cater to everyone, from sporty and informal daily fashion to the leather community. They will guide you through the styling of your accessory and the whole thing concerning your order is personalized to your needs and specifications. For inspiration and ideas on your personal style or to simply admire their completed works, visit their gallery page. In order to truly understand this topic I have to first define what I mean by “reserved”. This can be done in a few simple descriptive words such as less outgoing, shy, withdrawn, quiet, standoffish, wallflower, …these are all descriptors of what I am referring to when I say reserved but just because these things might describe a person it in no way means they aren’t a good Dominant. Think about as you would bread. There are several types, white, wheat, pumpernickel, rye, but they are all bread. There are a few different ingredients that make all those types of bread, bread but they all have a few other different ingredients that make them different. Just as with people, these ingredients are the foundation of what makes us, us. Working to get over shyness: A lot of people think that a person has to be outgoing or even a Type A personality to be a Dom or Top and this simply isn’t true. In fact, a lot of the more typical Type A’s out there would rather be submissive in their personal lives in order to balance out their professional lives. Education Level: Some Dominants may not be confident in their skills, and this may contribute to why they are less apt to invite someone to play or agree to play with others. Going out to classes can improve this and boost confidence in skills. Getting out to play spaces, dungeons, parties, and conventions means getting around like-minded individuals, which in turn means more social education and interaction with experienced people that can teach you the skills necessary to be more confident. Psychological Foundation: Whether it is nurture or nature, some people are just quiet, withdrawn, shy, or have some form of social anxiety and there is NOTHING wrong with that as long as it doesn’t interfere with your activities of daily living. If everyone was the same it would be a very boring world. It is a complete myth propagated by “Master Mister Domly Daddy” that if you are like this then you are not a Dom at all but actually a sub. This is such crap! YOU DON’T HAVE TO BE VERY EXTROVERTED TO BE A GOOD DOM or TOP!!! Casey: Things may be slow going with him at first, but it doesn’t mean he doesn’t like you or doesn’t want to play. He is just a very reserved person that needs a connection with a partner to play with them. Assertive subs might know what they want and not want to waste their time with someone they “think” doesn’t fit but I’ve often seen people judge to quickly and pass on opportunities that they, more than likely, would have greatly benefitted from. The last thing to consider is being forward in asking for what they want/need. This one is almost a always a good thing but like everything, there is an exception to the rule. Some can be so forward that they forget about another person’s needs or boundaries and embarrass them, or even unintentionally disrespect them or someone they are close too. I once had someone walk up to me, bite me, tell me I was the sexiest person they’ve ever met, and forcefully offered their submission while they were holding me by my package. She honestly thought I would appreciate the honesty, flattery, and forwardness but my date nor hers appreciated anything about her actions. Both of these things can go either way with a Reserved/Assertive Dominant and a Reserved/Assertive sub. Whether you are more assertive or more reserved than most, you be you and don’t let other people define you as a Dominant, submissive, Top, or bottom. That is for you to decide. If you feel that these, or any other personality traits are causing issues in your life take the bull by the horns by talking with a professional and develop a plan to change those things. Executive Producers ($25/month): Jeremiah, Jess, ArcaneD.G.R. & violetaurelia, Feline_Rouge, and babylove2269. Sr. Producers ($10/month): Matt, xEmeraldxWolfx, JayKay, Queen Sage, and SortOutTheKinks. Jr. Producers ($1/month): K-2SO, BuffaloDom84, LxSoumis, and Hayley. If you would like to become one of our show producers go to our website, https://kuldrinskrypt.com/support to get that information.